Chuck Bartok was privileged to be introduced to Napoleon Hill's and Charles Haanel in 190 at UCR. Those books spelled out such a simple entrepreneurial path to follow that Chuck jumped right in. Most of his ventures focus in the agr-businessfield but for many years, the financial services Industry, mainly personal and business benefit plans, generated comfortable Income. As an example of a Small Business, Chuck created a DVD showing how to Grow a High Yield of tomatoes on a small plot and earn some Money. 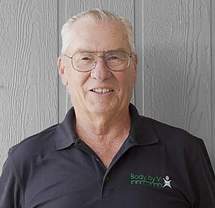 Chuck now spend most of his enjoy sharing ideas and helping other entrepreneurs Growing their Businesses, but he recently embarked on a Personal Fitness Challenge at age 69, focusing on getting Back in Shape. Was responsible for the Marketing of Modular, Pre-engineered Buildings (primarily animal housing) in Northern California. Led the Company for severalyears in Units sold. Recent Coronary slowed me down, replaced by "younger" energetic rep. This allowed me to explode our Network Marketing and consulting business.